Super lovely, fun and whimsical wearable paper crown. A two in one-also a sendable Happy Birthday Card! Reminiscent of the vintage party hats and crowns. 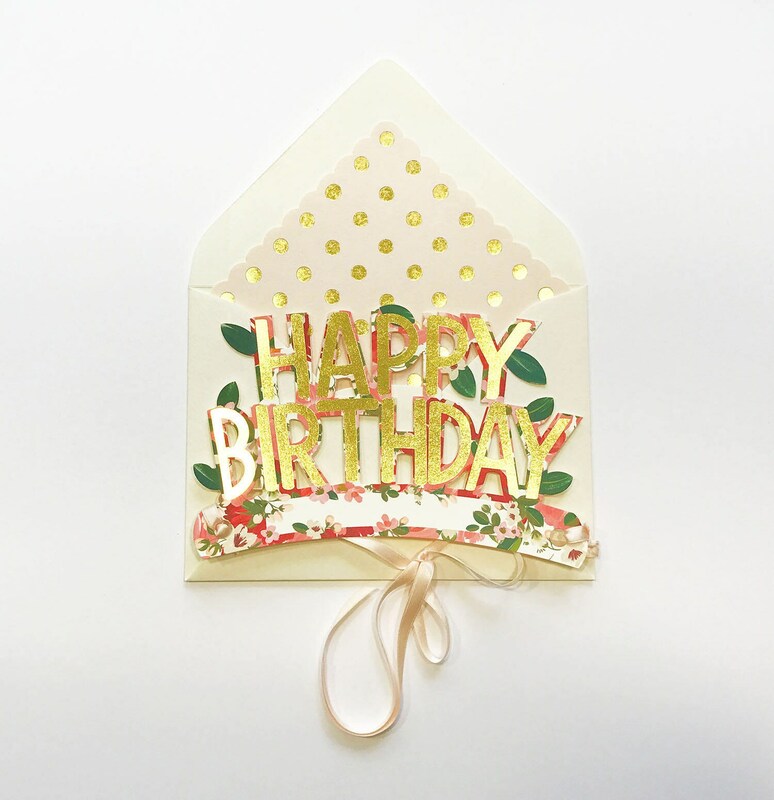 Made of card stock-Pinks, reds and greenery background design with gold foil text "Happy Birthday". Label included "wearable paper crown" for your customers!